Snurk duvet cover astronaut.The finest, softest and most original duvet covers for children, this duvet cover has a life-like print, taken from real life. The countdown can begin, because under this duvet cover your dream will come true. The spacesuit that is printed on it, is real. It does not come from the dress up corner shop, but of the Museum Space Expo in Noordwijk. Close your eyes and feel the gravity. Houston, we have lift off! ... thanks to the Snurk original duvet cover for ..
Duvet cover Snurk ballerina.The finest, softest and most original duvet covers for children. This duvet cover has a life-like print, taken from real life. Are you ready for standing ovations in your bedroom? For this duvet cover we collaborated with the Dutch National Ballet, considered to be one of the top 5 ballet companies of the world. Not only did they lend us one of their talented ballerina’s, but also one of their amazing handmade tutus. Plié, yawn and stretch.Sweet dreams ..
Duvet cover Snurk dinosaurus Rex. The finest, softest and most original duvet covers for children. This duvet cover has a life-like print, taken from real life.They've been extinct for millions of years, but they're just as cool as ever. Now you can turn in at night with your enormous prehistoric pal. Do you dare to fall asleep between his razor-sharp teeth? Of course you do! Sleep well... and this thanks to the Snurk bedding, duvet cover dinosaurus Rex! This has to be the most original birthd..
Snurk duvet cover furry friends.The finest, softest and most original duvet covers for children. This duvet cover has a life-like print, taken from real life. With these two furry friends by your side you will never feel alone in bed. Or hungry. Cause they have collected enough acorns for you to get through a long winter sleep. Isn’t that sweet? So go ahead and rest your head between them. Sleep well... and this thanks to the Snurk bedding, duvet cover furry friends!This has to be the most..
Duvet cover Snurk knight. 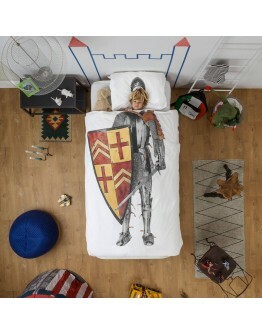 The finest, softest and most original duvet covers for children. 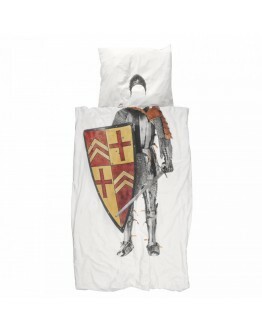 This duvet cover has a life-like print, taken from real life.To find this knight, Snurk went on a crusade from castle to castle to museum… to no avail. Until they ended up at Dragonheart, a medieval fellowship, hidden in the Dutch woods. There he was, ready for battle and bedtime. Sweet dreams ... and this thanks to the Snurk bedding, duvet cover knight!This has to be the most original birthday present ev..
Duvet cover Snurk mermaid. The finest, softest and most original duvet covers for children. This duvet covers have a life-like print, taken from real life. In your dreams, you can be anything you want, like a mythical mermaid with a glittery tail and a seahorse crown. Off to that magical underwater world where you're sure to make a splash! 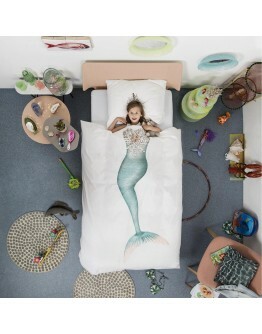 Sweet dreams ... and this thanks to the Snurk bedding, duvet cover mermaid! This has to be the most original birthday present ever! 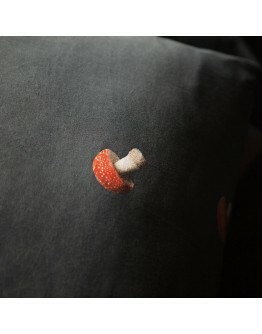 Or do you not ..
Duvet cover Snurk mushroom.The finest, softest and most original duvet covers for children. This duvet covers have a life-like print, taken from real life. Are you ready for standing ovations in your bedroom? The orange-red mushrooms with their white-spotted caps add even more atmosphere. This duvet cover is available in cotton and comes highly recommended by forest gnomes the world over!This has to be the most original birthday present ever! 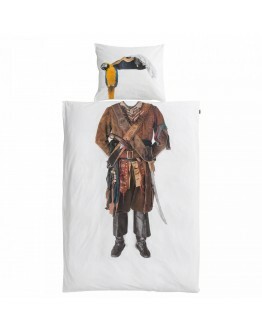 Or do you not know what to give as New Y..
Snurk Duvet cover pirate. The finest, softest and most original duvet covers for children. This duvet covers have a life-like print, taken from real life. Be warned little snakes, here sleeps a true pirate. Those weapons? Real. That parrot? Real. The jacket, hat and boots? From that pirate movie. No scurvy scum will ever dare to steal your treasures again. You can sleep with both eyes shut…arrr! 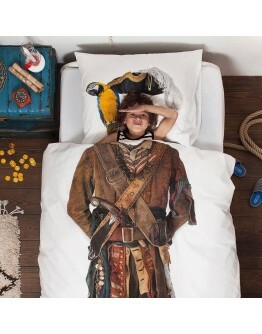 Cool dreams ... and this thanks to the Snurk bedding, duvet cover pirate!This has to be t..
Snurk duvet cover princess.The finest, softest and most original duvet covers for children. This duvet covers have a life-like print, taken from real life. 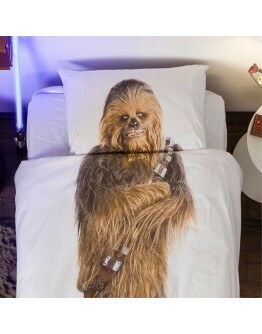 Finally a duvet cover that shows the world what you truly are - a beautiful princess. Go ahead and doze off, dream of your prince charming on a white horse. But first make sure you are lying perfect underneath your diamond tiara. What a sleeping beauty.This has to be the most original and cutest birthday present ever! Or do not y..
Duvet cover Snurk soccer red. An easy score, or is it? We could have gone with a big club or a legendary player. But in the end it’s about the sport and the thrill of making that one winning maneuver, with grass flying through the air. Gooooaaaal!This has to be the most original birthday present ever! Or do not you know what to give as New Year's gift or Christmas gift? 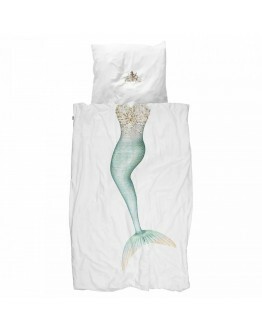 With this duvet covers by Snurk you score definitely! 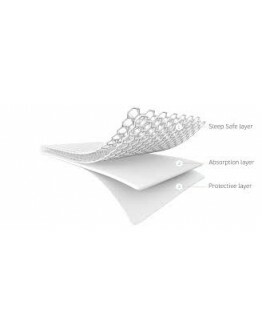 Size 140x200/220 cm – including pillowcase 60x70cm. Total le..
Snurk cover Star Wars Chewbacca. LIMITED EDITION. Fans of The Force, good news!! 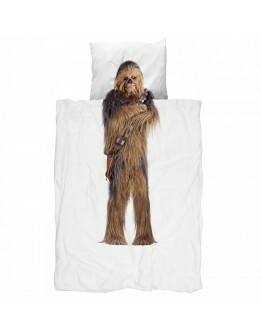 The Star Wars Chewbacca duvet cover may be sold in Belgium and the Netherlands for a limited time! Size 140x200/220 cm – including pillowcase 60x70cm. Total length incl. strip is 240 cm Material 100% percaline soft cottonl. Washable at 30/40 °C - you can put it in the dryer. 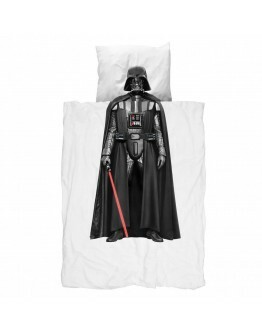 Designed in Holland, made in Portugal (kinderarbeidvrij & good working conditions)..
Snurk duvet cover Star Wars Darth Vader. LIMITED EDITION. Fans of The Force, good news!! 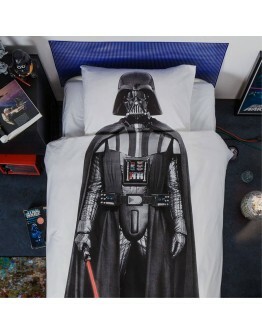 The Star Wars Darth Vaders duvet cover may be sold in Belgium and the Netherlands for a limited time! Size 140x200/220 cm – including pillowcase 60x70cm. Total length incl. 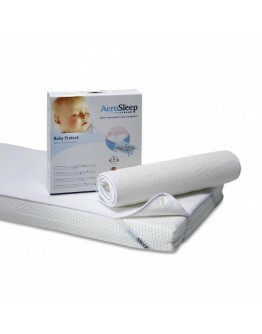 strip is 240 cm Material 100% percaline soft cottonl. Washable at 30/40 °C - you can put it in the dryer. Designed in Holland, made in Portugal (kinderarbeidvrij & good working conditions)..